“The great Fourah Bay College, citadel of learning, Athens of West Africa and centre of academic excellence, beacon of light of education in Africa, pride of Sierra Leone , etc, …” This was how Fourah Bay College (FBC) was referred to in the greater part of the 20th Century. Yes, we were very proud of our FBC, so much so that the mere mentioning of its name and its students was enough to instil fear in others and make them bow. Unfortunately, today’s FBC is totally different, and the tears flowing from her eyes are asking just one single question – why? 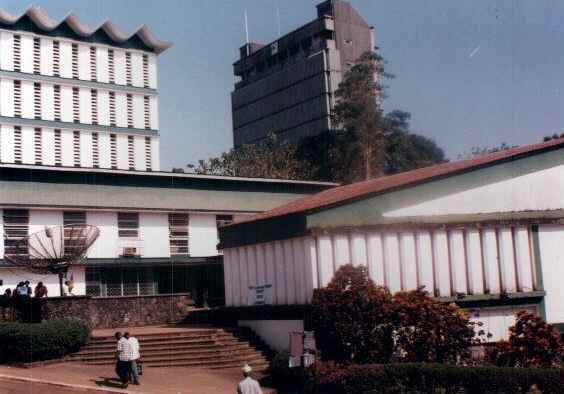 FBC has not been given the attention it deserves in recent times, and of the three constituent colleges of the University of Sierra Leone, FBC – including its environs, is on a life support machine. It has been in such critical condition for almost six years. The entire infrastructure is completely decrepit. You name them – the buildings are completely dilapidated, with no renovation for a long time now; and the library is a mini pool during the raining season. The tiles in the EJ Hall that was recently constructed, and the Chemistry Building – with another floor recently added to the original building, have been resurrected. But the Physics Theatre and the Engineering Department are in a state of decay. To compound these ugly scenes, FBC is the only college in the world where a college is not a college, for there have been no accommodation facilities for students over the past five years. The ‘Great’ Blocks of A, C, G, E, M, H and J and the beautiful Lati Hyde and Beethoven have completely deteriorated. Students scrambling for chairs and tables; lecturers clamouring for lecture halls have now become the norm at FBC. This is partly due to the increase in student population over time, which has not been matched equally by available resources and space. These have almost remained constant. This mismatch has created tension between students and lecturers on one hand, and friction between lecturers and the Administration on the other. Added to these problems is the deplorable state of the road from Lower Faculty on campus, stretching to as far as the Great Kennedy Building, leading towards Kortrght and as far as the deep curve, immediately past the Principal’s residence at Kortright, on to where Professor Joe AD Alie is now residing. Talk to the students, lecturers and the Administration about this sad state of affairs, and you will hear a compendium of excuses or reasons. Without prejudice to any of the players and stakeholders, some of what you will hear includes: Lack of vision from the Administration; neglect by the government as current and past budgets over the years have not captured any rehabilitation component for FBC; no established research fund to promote Research and Innovation; inadequate materials for lecturing and gaining understanding; investment by the Administration is not in tandem with the priorities of the college; incompetent lecturers; ASA not getting the required support from colleague lecturers; lack of coordination between the Administration and the government; lack of trust between the lecturers and the Administration; lazy and dishonest students who want to have good degrees without working hard for them, as well as making exam malpractice their specialty; and the list goes on. What has however seriously exacerbated the situation at FBC is this over reliance on the Arab Bank for Economic Development in Africa (BADEA) to give a facelift to the entire college. In simple terms, BADEA is supposed to be the principal financier to transform the entire FBC – from hostels to lecture halls. But the construction project is yet to commence. After five years since the funding agreement was signed, nothing has happened in terms of rehabilitation and the slogan around campus for a very long time now is: “We are waiting on BADEA”. The BADEA project is a classic example of how donor dependency has hindered the implementation of projects in most developing countries, and by extension, contributing to the suffering of a whole generation. Many students starting their studies at FBC without hostel facility, have eventually graduated without experiencing any. For those students coming from the rural areas, you can just about imagine the difficulties they are going through. It’s really a shame that too much expectation has been built around the BADEA funding, despite the government having the resources to transform FBC. After all, education is one of the pillars of the Post Ebola Recovery Strategy. The writer strongly believes that FBC’s rehabilitation can be undertaken without BADEA funding. Exploring Private Public Partnership is one option. The role of the Alumni Associations all over the world could be another. Donation from philanthropists in and out of the country is another option. For example, Hedge Fund Mogul – Paulson, donated US$ 400 Million to Harvard University in America few months ago, and this is why such universities are flourishing. There are people here who can also make similar charitable gestures, though not on the same scale. Many local philanthropists, government ministries, departments and agencies (MDAs) made significant donations to His Excellency the President at State House during the Ebola crisis, why can’t they also do the same for FBC? 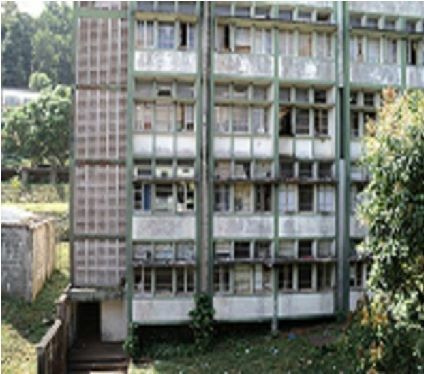 What is more, even the lecturers are willing to contribute Le 200,000 of their salaries every month towards the rehabilitation of one of the buildings – preferable the Arts Building. But they should be given the authority to control the management of the funds and the eventual awarding of the contract. The government can demonstrate its commitment towards FBC’s rehabilitation by firstly, redeveloping the deplorable road leading to the college and within the campus, which is less than a mile long. As a Development Economist and a Project Planner, I believe US $ 300,000 can do the trick – I bet my last dollar. This request for government funding is well justified, as the FBC campus has become a thoroughfare for government and private vehicles that are plying this route heading towards Gloucester, Leicester, Hill Station, Southridge, Regent and even Lumley, destroying the once peaceful and tranquil FBC campus, especially on a Sunday. The deplorable condition of the college road, with many potholes, has further dented the image of this once “adored” college. His Excellency, the President is the “Champion of Infrastructural Development” in the country and so, FBC should not be left out in this drive. An Executive Directive to the Deputy Minister of Works is all that is required for the Sierra Leone Roads Authority (SLRA), through the Roads Maintenance Fund to turn FBC into a works yard. When that happens, FBC will start the next academic year with a bang. So if BADEA cannot start now, let the road reconstruction at least commence now. 1) Let the government rehabilitate the college road immediately after the bridge, through Lower Faculty, on campus and as far as Kennedy Building; and through campus as far as Professor Alie’s residence. 2) Let adequate “lecturing and understanding” materials and equipment be procured/provided before the commencement of the 2015/2016 academic year. 3) Let other avenues be explored for the transformation of FBC, and government can take the lead in this by allocating 0.6% of the country’s GDP. We should not wait for BADEA any longer. Until these are met, pray that the obituary of FBC is not announced, because the tears flowing down her cheeks, reminds of an old lady lying on her death bed – saying her last wishes. Dr. Denis M Sandy is a Lecturer at the Department of Economics and Commerce at Fourah Bay College, University of Sierra Leone. I am happy about the responses from Fode Sillah, Rugi Timbo and Mohamed Sannoh. Fode in particular has asked me some questions and he wants a reply. 1. My contribution in government. I was Minister in the APC Government from March 2009 to August 2011. During this period, I served as Minister of Lands, Country Planning and the Environment and as Minister of Social welfare, Gender and Children’s Affairs. As Minister of Lands and until my departure, no individual or institution encroached on FBC land, as I was doing swift and targeted demolition exercises around college property. I also donated substantial furniture items to the Faculty of Social Sciences and Law and the lecturers common room. I was on the verge of giving a face-lift to the Wilson Theatre when I was transferred to Social Welfare. Also at Lands (and you know what that means), I successfully brought sanity to the system of land administration in Freetown and the country as a whole – there was no more fighting and documents were processed accordingly. 2. At Social welfare and with that brief spell, I championed gender sensitive issues like the Sexual Offences Act and passed the Disability Act in Parliament. I gave priority to female students in the pursuit of scholarships to the Ministry of Education. But I was not the Minister of Education and all I did at that time was to influence and talked to my colleague Dr Bah not to forget FBC and to do something for the institution. You know in this country, some Ministers frown upon others trying to advise regarding the running of their Ministries. I wish you could contact the Minister of Education and ask what he is doing? 3. I will encourage Fode to read my piece again as rehabilitation of FBC is the responsibility of the government in terms of budget allocations, not the college. And no budget has been allocated to FBC for this, for a very long time. Govt only give tuition subsidies to FBC and nothing else. And it is from this budget that our meagre salaries are honored. Students were forced out of the hostels in 2009 for this BADEA project – by which time Fode, I had already left the government and returned back to FBC. So, there was no way I could have influenced any longer. This is why I indicated in my piece “six years now”, nothing is happening. I also indicated in my piece that FBC’s rehabilitation could be done without donor intervention and all the options were explained, including government to allocate 0.6% of its GDP towards FBC plus contributions from us lecturers – please go over the article again. FBC is a national issue and we should not politicise it, otherwise our children will not be assured of a brighter education today and in the future here. Talk to students here about Dr Sandy and they will tell you the role I am playing to ensure that their welfare are maximised and FBC continues to function. Finally and to Rugi, Sierra Leone has passed that war stage long ago, and this is why we are all so desirous about development in the country. Rwanda is a typical example of a country with development strides which is more than the length of time of the genocide. So why not Sierra Leone? Significant issue raised on the status of our noble institution of the Nation. As a Sierra Leonean I feel ashamed that our National Institutions are not maintained and looked after in a responsible way. 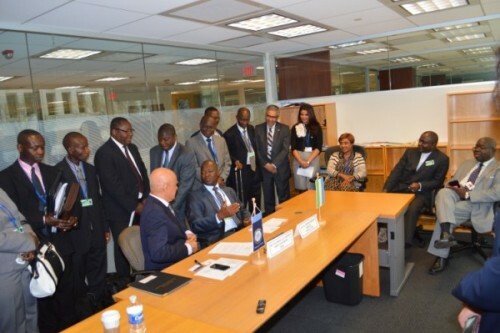 How will the global world view the seriousness of Sierra Leonean Academics and Politicians who cannot make objective and rational decisions in the interest of the Nation? Dr Sandy my Question to you is “What contribution have you made in advocating or representing the interest of Students and Stake holders as a government minister in the APC representing PMDC? Why did you not champion this issues at the time? To my knowledge every government allocates money to institutions so FBC is not an exception. What have you as a senior Academic done to influence your colleagues and administration to improve the infrastructure and academic achievements of FBC? You are blaming donor and government neglect. We do not have to always depend on aid or help from other sources to develop our national institutions. We have to take the bull by the horn and take responsibility for our development and improve our dignity, and not to wait for donors to line their pockets. Based on what President Earnest Koroma experienced as a student of Fourahbay college, the FBC use to be the breeding grounds for demonstrations against the former president Siaka Stevens (No school no college), of which he president Koroma was an eye witness to what the late Hindolo Trye masterminded. So I believe president Koroma is doing all his best to make sure that the FBC campus remains uninhabitable so as to reduce the chances of any recurrence of uprising, especially in the capital. I do agree Fode. I was wandering if the former students living abroad will help. What can I do to help I am willing to contribute. It is about time we realise Donors and foreign investors have no interest for the people in the countries they invest in. It is business as usual and they are there to make profit !. Are we able to set a forum for this? You are right on all that you have said. 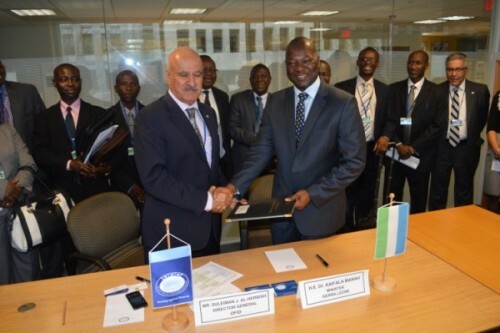 FBC can be developed by Sierra Leoneans and not an International Donor country or group. Sierra Leoneans must work, hand in hand with the College Authorities to save it. I have heard about an International Airport in Sierra Leone (to be built by the Chinese people) and run by themselves. How can that happen? Why can’t that money be used on FBC? There is a lot to be done in Sierra Leone. First we must be sure that EBOLA has passed and things are getting to normal. PLEASE, SIERRA LEONEANS HELP TO SAVE OUR UNIVERSITY. Thanks for allowing me to jot down some of my thinking. 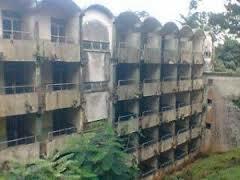 It is indeed a pity to learn about the deteriorating condition of Fourah Bay College (FBC) as highlighted in this article, but one needs to have the ability to read between the lines to be able to discover the sources of this national disgrace. To start with detailed explanation, let us all agree that FBC is a national university and the president of Sierra Leone is the Chancellor of that university. Every year, FBC gets more than a million pounds support for renovation and maintenance, but why all this mess? The president of Sierra Leone Ernest Bai Koroma is bent on seeing FBC closed down and maintain sustenance of the University of Makeni. 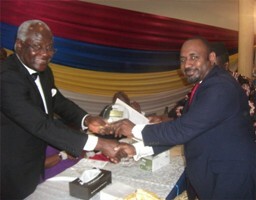 The funds that FBC receives always land on the desk of Ernest Bai Koroma who then switches it over to UNIMAK. But the main problem is that both the reigning president and the APC administration cares about nothing, even when it is a national embarrassment. This is also evident in the manner in which the current minister of education is running the affairs of education in the country. Let’s just pray for a new leader with full pride in supporting education to be able to consider FBC. I think it is unfair to start blaming the president. First Sierra Leone is still recovering from a civil war and instability post colony. Secondly Ebola has exposed our vulnerability as a small nation. But I am optimistic about the future because the youths are talking and they are highly ambitious. Change happens with time, think of where china was 25 years ago. All these issues will be resolved. We need to stop corruption and we can do this by starting at pre-school level to change the mentality of the next generation.